We are all living sacrifices…for something or someone…for good or evil!! Some live life sacrificing for money; some for drugs and alcohol; some for reputation; some for self-gratification, etc. Most dedicated mother’s sacrifice for their family. My husband recently shared a verse with me that put the “rubber on the road” in my understanding of sacrificial living! he had not set his heart on seeking the Lord”. My idea of evil is unlimited in its ability to fill my imagination with what I see, hear and read in our frazzled culture today! In the light of God’s definition of evil, what are we really living for? or worse yet, doing His will but on our own terms!? According to this verse, evil is defined as not setting our hearts on pleasing Godand His purpose for our life; not seeking the Lord, first and always. All other pursuits are considered evil from God’s point of view! when we “light our own torches to do our own thing”. As busy moms and grandmas, how often do we look for God’s purpose when we are being consumed by a whirlwind of activity all around us? We are teachers, comforters, taxis, counselors, nurses… you fill in the blank! “All believers’ walk-in darkness”. Isa. 50:10andThis means we are all shortsighted and blind to the immediate future. We tend to sacrifice the permanent on the altar of the immediate. By setting our hearts on pleasing God and having his purpose first in our life, we find sacrificial living fulfilling, understanding that “all things work together for those who “set their heart on seeking God”and are called according to his purpose”. to look for God’s purpose in our next interruption? and responses because we are being inconvenienced? “I cried out to him with my mouth; his praise was on my tongue. Can He listen to you? What do you set your heart on? Posted on February 11, 2019 by Jacqueline Johnson and filed under motherhood, Character and Virtue, spiritual growth, grandmotherhood, Announcements and tagged self-sacrifice others first what's most important can He listen to you. Jackie's Journey "The Longest Journey"
I met my Prince at the University and if you were to ask our college friends they would be astounded that we are celebrating our 53rd Wedding Anniversary! Most did not give us two years! Ralph and I are polar opposites in almost every way. However, we had the one element in marriage that will guarantee longevity…we were both individually committed to “burn out” serving God wherever He led us. My husband’s godly zeal and spiritual leadership in our home has been preeminent and a constant for the last 53 years! I have been blessed with a man who has loved me unconditionally and when he said “for better or worse” he meant it. We have weathered the storms of life with near death experiences more than once and his loyalty to God and me is noteworthy. Ralph and I continue to learn and grow together. Choosing to live in deference is a key to our taking our two wills and finding harmony in God’s will. Ralph’s name means “bold counselor” and that he is! He is a man of motion and direction. He was once told he is an ”afflicter of the comfortable and a comfort to the afflicted!” I could write a book with all his wise one-liners, biblical formulas and scriptural definitions. His capacity to see things in Scripture and interpret them from the inside out to give a total new look to a familiar verse is uncanny! Christian missionaries are people whose passion is to make the Lord Jesus known to the whole world. They are completely under the command of King Jesus (Ralph often rolls out of bed, stands at attention and salutes heavenward, committing his day! ), and they will go anywhere, under any circumstances, for no pay, with poor living conditions and food, even though no one ever notices. They know their Sovereign God is watching every minute, and that is the only reward and joy they seek…a true missionary is someone who will risk everything for the sake of the lost of this world…this is my husband! and our responsibility into the third and forth generations. Our lives are based on Proverbs 3: 5,6: Trusting the Lord with all our hearts and allowing Him to direct our paths and Matt. 6:33: “Seeking first the King of heaven” and allowing Him to supply everything we need for life and godliness. We are convinced that He takes the weak and confounds the mighty. We are proof of His faithfulness…I Corinthians 2: 1-2 speaks my heart, like Paul’s, when he says, “…I did not come to you with eloquence or superior wisdom as I proclaimed to you the testimony about God. For I resolved to know nothing while I was with you except Jesus Christ and Him crucified. I came to you in weakness and fear and with much trembling. My message was not with wise and persuasive words, but with a demonstration of the Spirit’s power so that your faith might not rest on men’s wisdom but God’s power”. If we had these 53 years to do over again, we would like to serve more and better, as we were bought with the price of His blood. Romans 6: 16-18 says, “We were slaves of sin and now are slaves of righteousness”. We work daily on being better slaves! for your faithfulness to God? Posted on August 27, 2018 by Jacqueline Johnson and filed under Being a Wife, Spiritual Growth, Character and Virtue, Announcements and tagged God's Faithfulness Anniversary Proving ground. To me…old age has always been fifteen years older than I am…those more seasoned and accumulated wisdom years. My mother, who is 99 this year, has always said, “Old age is not for sissies!” I should have married an archeologist because the older I grow, the more he would appreciate me! I guess I agree with the words above my bed that say, “Age is not measured by the number of breaths we take, but by the moments that take our breath away”! I’ve had a multitude of those moments…and look forward to many more, should the Lord tarry. He has my days numbered. I want to take this opportunity to pen the gratitude I have in my heart. Missionaries have the privilege of meeting people from all over the world and connecting with a common eternal objective. Whether on the foreign field, in local churches in rural and urban communities or in the highways and byways…friendships, fellowship and eternal connections soon follow. This blog is for those of you who have reached out for me from all over the globe on the many ways available to us in this day and age. I recently found messages on the Princess Parable website and I am sure you have been wondering why I have not responded to all your kind words and encouragements. and so many reassuring words! "Lord, you know better than I know myself that I am growing older. to say on every occasion. that I may be mistaken. for You know, Lord, that I want a few friends at the end!" 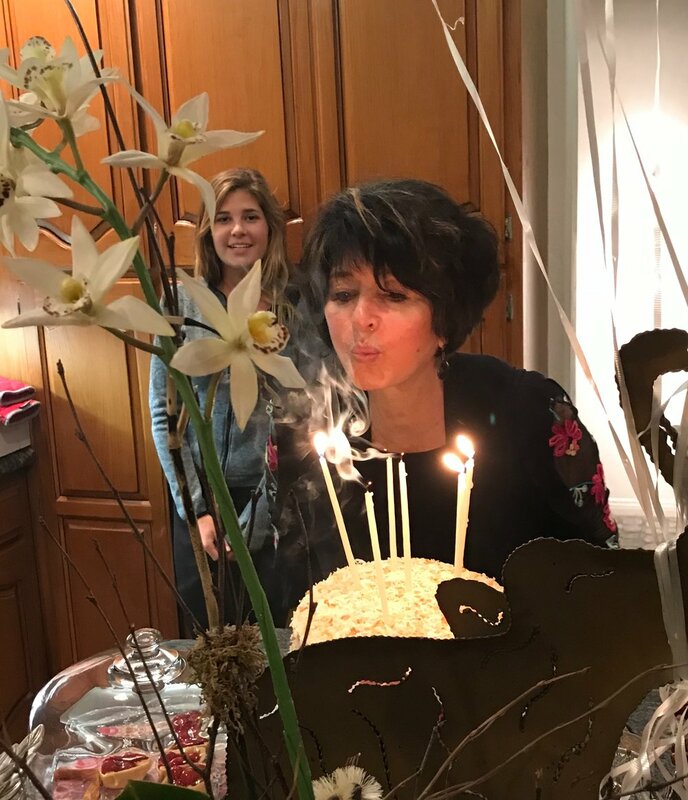 Posted on April 16, 2018 by Jacqueline Johnson and filed under Announcements and tagged thanks for the memories birthdays are great we are all aging. Jackie's Journey "To God be the Glory!" In January 2009 a team of four San Blas Island Kunas from the First Baptist Church of Panama City traveled to the Darien jungle village of Pucuro to minister to our border Kunas. During the visit to Pucuro there were seven first-time decisions for Christ and 14 baptisms. We received a letter of a tape-recorded message of their exciting visit. but WILL accomplish that to which I have sent it”. This is the same tribe that took us into the jungles of Panama many years earlier. It is the same indigenous group of people that a few years after we returned to the states, we learned of the three missionary men living in our village, who were kidnapped, captured and killed. The current chief of the village was our nearest neighbor, a dear friend and one of the first converts in those early days. Needless to say, I read the report with passionate interest! As the story unfolded, I was overwhelmed with thanksgiving. It is an amazing story of God’s faithfulness. They were impressed with the amazing testimonies of the Pucuro Christians. The chief of Pucuro shared, “I was talking to my people, I said, 'Look at us. Fifteen years ago we betrayed the Americans (3 missionary men with their families living in Pucuro) to the guerillas. They killed the men. Four years ago one of our chiefs was killed and some of our houses were burned (by guerillas). Other things have happened. Look what we have done…at what we have become. We are bad people. We need to come back to God'”. The Congreso (a Kuna village could not function without a Congreso) has become their Church service and their giving and meeting the needs of one another is done as a whole body of believers ministering to one another. This, in itself, is a miracle transformation for a Kuna village. Posted on February 26, 2018 by Jacqueline Johnson and filed under Announcements and tagged God's Timing God's Faithfulness God's Glory. Jackie's Journey "It's My Party...I'll Cry if I Want To...!" Have I mentioned how grateful I am for my partner in life who is growing old with me? For the last 53 years this journey has never had a dull moment! For those of you who know us, you know that I was looking forward to growing older…not old!...with this wonderful man, thinking he would mellow with age…I’m still waiting! I was reminded of the advantages of aging. You know, like…Leviticus 19: 32 that says my time has come that when I enter a room others will “stand (to show honor and respect) when (I, now qualifying as one of) your elders, enter…” and “Is not wisdom found among the aged?”(Job 12: 12) Since I quoted Job…his three friends were trying to sympathize and comfort him with the thought, “Age should speak; advanced years should teach wisdom.” Quite an expectation…no pressure there! who are embracing this year as a…BIG ONE! 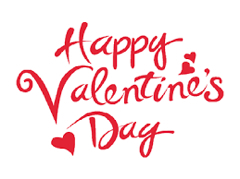 Posted on February 19, 2018 by Jacqueline Johnson and filed under Announcements, Spiritual Growth and tagged woe is me birthday greeting oh no another year. Jackie's Journey "It's Christmas Day!" Welcome to our Home...Won't you come in? It is unlikely that any of you will be reading Blogs this busy Christmas morning. However, in the event that you are, I would love to just chat a few minutes. the tremendous sacrifice and provision He made on our behalf? We want to thank you for welcoming the message of The Princess Parable Series into your homes and hearts. We have been so blessed by your response to the parable stories our five Princesses bring to your little princesses. Last year, about this time, we released “A Royal Christmas to Remember”. It has been a joy to be able to release our two newest books this year… “Daughter’s of the King Devotional” and “Princess Prayers”. and that true joy comes from losing their lives serving others...! Posted on December 25, 2017 by Jacqueline Johnson and filed under Announcements and tagged life giving what is better than receiving? finding life. When we attend an English speaking church, we have the privilege of sitting under a man who challenges our hearts and understands how to walk with God. We are grateful for his faithfulness and teaching of the Word of God. This summer, I pulled this from his Weekly Words in the church bulletin. Posted on November 20, 2017 by Jacqueline Johnson and filed under Announcements, Parenthood, Spiritual Growth and tagged Blessings to You Purpose to be thankful. Jackie's Journey "Look What's Coming...!" This coming month, in October, The Princess Parable Series will be introducing their newest release. 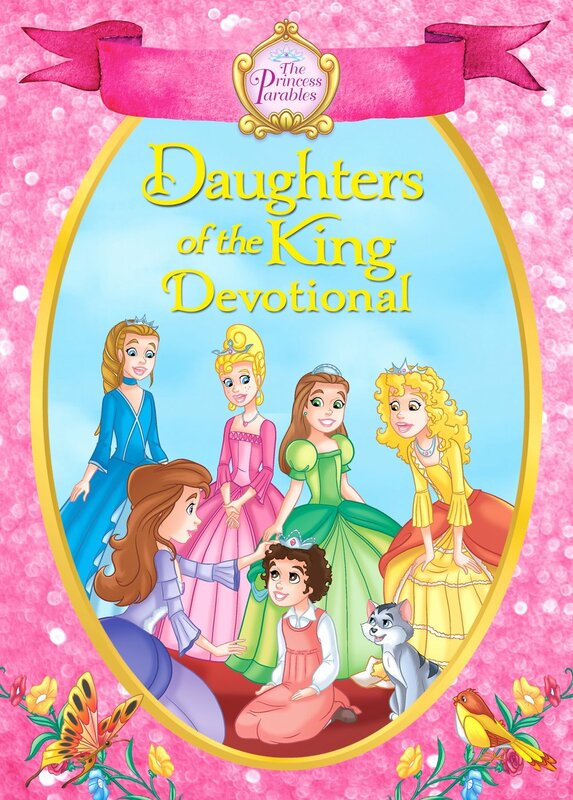 Titled The Daughters of the King Devotional,, it will allow our five Princesses to share their hearts and what God is teaching them through His Word. The Princess Parable Series is committed to building character and virtue into the hearts of children around the world. Princesses Faith, Hope, Charity, Joy and Grace are blessed to be able to communicate with your little princess the character-building life-lessons they are learning. Faith in God makes all things possible. Hope in God makes all things endurable. Charity in God makes all things enjoyable. Joy in God makes all things achievable. Grace from God makes all things rewardable. A Biblical worldview should influence all areas of life. Articulating that worldview within our sphere of influence is what The Princess Parable Series is all about! While surface problems (hate, murder, anger, addiction) attract media attention, they merely reflect and are symptomatic of the deeper need we have as people…the need for character! Character determines our actions. Character determines our responses, regardless of the circumstances presented to us in life. It defines us and tells others who we really are! Character is written on the heart of every person. It is universal and transcends culture, race, age, social status, religion, gender and nationality. Godly character marks the life of a true princess!! For years Princesses Joy, Grace, Hope, Faith and Charity have been a large part of my life and I have grown to love each of them, as distinct and separate personalities, with unique engiftments and an adventurous story to tell. They form a cohesive body of work that speaks to the need for early development of godly character in our little princesses in a pragmatic way they can relate to with Biblical terms attached. I recently read, “A dear old Quaker lady, distinguished for her youthful look, was asked what she used to preserve her appearance. She replied sweetly, “I use for the lips, truth; for the voice, prayer; for the eyes, pity; for the hand, charity; for the figure, uprightness; and for the heart, love” (Jerry Fleishman). The Princesses are designed to inspire godly thoughts and actions. The key of this wise “Quaker lady’s” answer and the challenge to us is to maneuver victoriously through this new day and its many opportunities… each revealing our TRUE character through our moment-by-moment responses! The Daughters of the King Devotional! Posted on September 25, 2017 by Jacqueline Johnson and filed under Announcements, Character and Virtue, Spiritual Growth, Motherhood and tagged Newest Release Daughters of the King Devotional. Jackie's Journey "IT'S COMING THIS FALL!" We have been blessed to have had new releases to The Princess Parable Series every year since 2011. But this year we are abundantly blessed to bring you TWO NEW books! “Princess Prayers” was just released a few weeks ago in time for this Easter! “Princess Prayers" includes fifteen sweet prayers for little girls who want to live like princesses. This padded glittered cover board book will help your toddlers engage with Scripture and open their hearts to God at night time tucked into bed, in the morning devotion times or anytime! Taking time with your little one to thank God for all the blessings of the day…but especially for each other is a privilege all mothers can enjoy. “Princess Prayers” is available now at www.Amazon.com, www.BarnesandNoble.com or a local bookstore near you. Our second book this year and our newest addition; “Daughters of the King Devotional” is due out this October 2017! Please rejoice with us as we reflect glory back to God for His faithfulness!! Posted on May 22, 2017 by Jacqueline Johnson and filed under Announcements and tagged Daughters of the King Devotional Princess Prayers Reflecting glory back to God. Jackie's Journey "Look What's NEW...!" Our newest release, “The Princess Prayers”, is a marvelous new opportunity for the five princesses to accompany your toddler in prayer from a princess point of view. Princess Joy, Grace, Faith, Hope and Charity are found rehearsing the truth of the verse being taught in the form of a heartfelt prayer in her own words. Sometimes prayer seems distant and impersonal…with words that seem empty. “Princess Prayers” takes God’s words from the verse and prays them back to God. It’s a loving tribute to a caring and loving God who listens for us to take time to spend precious moments in earnest communication with Him. As moms we are looking for an opportunity to hold our little prince or princess close and lead them into understanding an open communication with God. They watch us and listen as we talk to an unseen God with the faith of a mom that intimately knows Him. We are a letter…known and read by all men (II Cor. 3: 2), and our prince and princesses are reading us with intense interest when we humbly bow our heads in prayer before our Almighty God. “Princess Prayers” reveals a mom’s heart that is yielded to God and with joy and brokenness is praying God’s words aloud with her little one. latest book in “The Princess Parable Series”. www.BarnesandNoble.com or at a local bookstore near you. Posted on May 8, 2017 by Jacqueline Johnson and filed under Announcements, Motherhood, Parenthood and tagged Princess Prayers; reflections; rehearsing truth; prayer for toddlers.